Sometimes known as “Flush Pin” gauges. Used primarily in production inspection areas for checking the depth of blind holes, stepped holes and counter-bores where the workpiece tolerance is no smaller the 0.10mm. The gauging pin check depths up to 200mm dependent on the hole diameter. 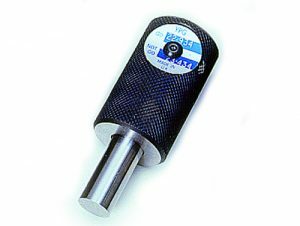 Both the barrel and measuring pin are manufactured from tool steel for long life in a robust environment, a key feature of this type of gauge is they can be reworked to compensate for any wear on the leading face of the measuring pin. • Angled face for measuring holes at an angle to the datum face. • Sharp leading edge on the pin for inspecting the intersection of the hole and an angled face. • Chamfered leading edge on the pin for accommodating a radius in the corner of a blind hole. • Recessed leading face of the pin to clear protrusion. • Stepped outer barrel to clear component features.